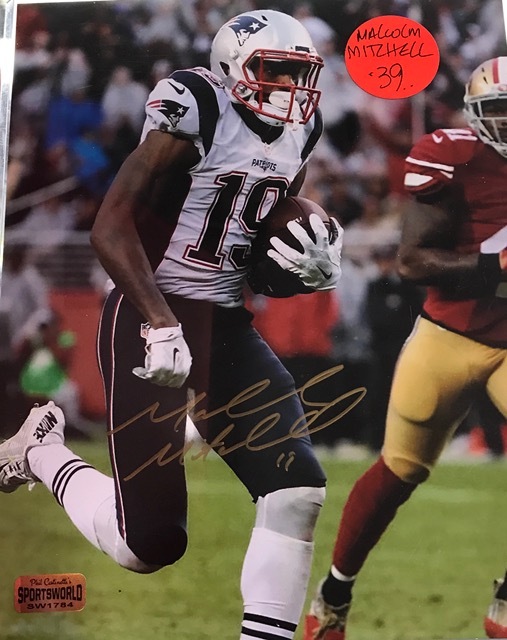 Nice autograph by New England Patriots wide receiver – Malcolm Mitchell. 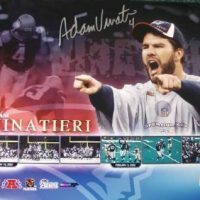 2016 Superbowl #51 champion! 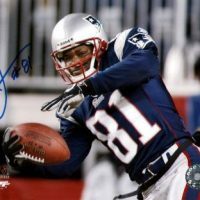 Sportsworld hosted a private signing with Malcom Jan of 2017. 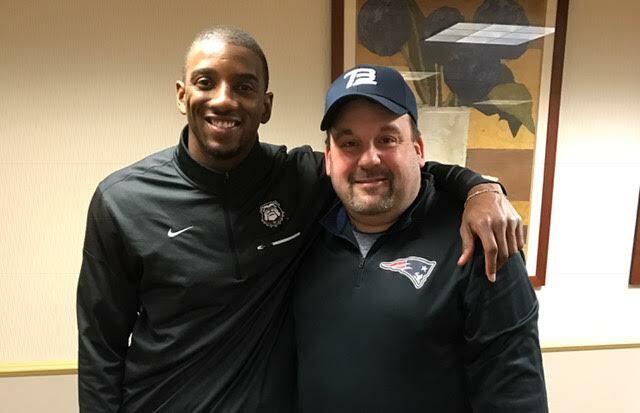 Malcolm Mitchell is an American football wide receiver for the New England Patriots of the National Football League. He was drafted by the Patriots in the 4th round in the 2016 NFL Draft. He played college football at the University of Georgia.